Subject: SPOT Satellite GPS Messenger Units are Now Available! Great News! SPOT Satellite GPS Messengers are starting to ship. Shipments to customers will begin on Thursday, February 18th, 2010. We expect to have all customer returned product out our doors by the first week of March. As you know, in December we discovered that the SPOT 2 unit failed to meet battery and messaging operating specifications. At that time we issued a “voluntary” product recall. Okay, in this instance “voluntary” meant that SPOT was choosing to recall the product because we weren’t happy with it. We understand that this may have caused some confusion. Let’s be clear now – we continue to urge you to return your SPOT 2 unit with an ESN number equal to or less than 0-8053925 to be returned for replacement. Please visit www.findmespot.com/exchange for more info. As we mentioned in our last e-mail communication to you, we put SPOT 2 under rigorous product testing. We know you have been waiting, and are impatient to use your SPOT. We hear you! We want to assure you though that SPOT LLC has taken the necessary extra steps to ensure this product meets all our rigorous tests. We pulled the product and retested. This meant environmental and user tests. We were thorough – we need to be. 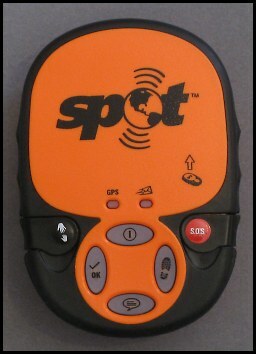 The SPOT product has initiated over 550 rescues worldwide and has sent millions of “peace of mind” messages. There is no way we are going to let you hike into the woods, drive into the mountains, sail off into the ocean, or just enjoy your weekend getaways with a product we are not satisfied with. SPOT is an emergency messaging device. We take that seriously. We take our commitment to our customers seriously. Therefore, we apologize for the wait, but we can now tell you the product is ready for your hands. SPOT 2 Replacement Units Shipping was written on February 17, 2010 and filed in Gear, News.